It has been a while since we last wrote here and we have much to update! We have been busy finishing our second film in the Enlivened Learning series – ‘Re-learning the Land: A Story of Unitierra’. RE-LEARNING HOPE is the story of Unitierra, an autonomous university in Oaxaca, Mexico that is immersed in, and has emerged from, the social and indigenous movements of the region. The film tells the story of this emergence of Unitierra and its powerful critique of traditional education and development. The film is a hopeful example of how communities are taking control of their own learning and shaping an ecological path for their communities amidst a context of violence. The film, which we made in collaboration with participants in Unitierra, raises a host of important questions related to the purpose of education and what it takes to create a deep ecological consciousness and connection with our communities. 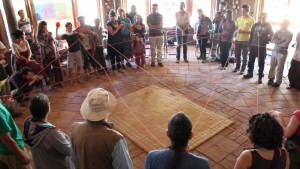 As participants in Unitierra learn together and with local communities they re-weave the social fabric and ways of living that are more autonomous and in balance with their local ecologies. ‘Re-Learning Hope’ also explores how we can learn autonomy and community living from indigenous peoples. The 500-year struggles of indigenous peoples’ in Oaxaca and Chiapas against the imposition of other ways of life are inspirations Unitierra has taken to heart. Amidst the multiple crises we are all experiencing, in our economies, political institutions and communities, Unitierra is promoting ways of living and learning together that is inspiring, showing us that another world is indeed possible. 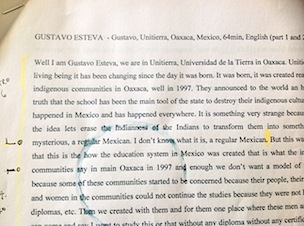 For more of our writing on our experiences in Unitierra and Mexico click here. As you may be are aware, there is a knowledge movement slowly building all over the world, an emerging network of lets call them Eco-versities for now – of people and communities reclaiming their local knowledge systems and imaginations to restore and re-envision learning processes that are meaningful and relevant to the call of our times, that cultivate new stories and possibilities, that re-connect and regenerate diverse ecological and cultural ecosystems. From the start of our adventures in this landscape of these diverse ecologies of knowledges focusing on Higher Education emerging around the world we dreamt: – what if these places could share their experiences, knowledges, their learning approaches amongst and between themselves and strengthen the beautiful and important work they are all doing?! What even more wondrous and powerful transformations could occur! As we visited places across different countries, as well as writing and making films, we took on ourselves the role of traveling story-tellers – telling stories to people we met of the other places we had visited and what they had been doing. Some links between places started to emerge through this as people and places begun to hear more about each others’ work. Now that our physical journey to many of these places has come to a rest, as well as carrying on writing and editing the films, we have put our energy into that original dream. We are really excited to have co-created with Manish Jain from Swaraj University (Udaipur, India) a Gathering of Kindred Folk Re-imagining Higher Education! This ‘Re-Imagining Higher Education’ event will gather more than 50 other leading visionary-doers and thinkers from more than 20 countries at Tamera Peace and Research Centre, an eco-village in southern Portugal this August (from the 20th – 26th). 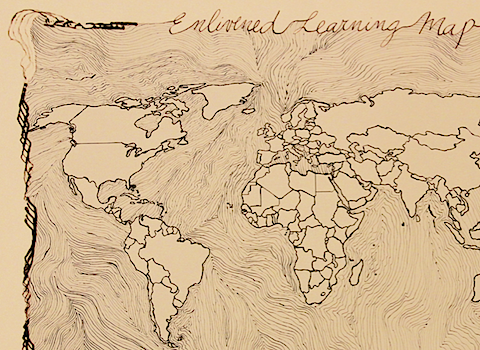 We are gathering this group from a variety of learning places around the world – to share experiences, wisdom, insights and challenges to learn about how transformative learning is being imagined and enacted in each place. Our primary focus is to bring together people who are hosting or who are deeply involved with ‘alternative’ or ‘post-traditional’ places of higher education, or who are somehow re-imagining higher education in their work. 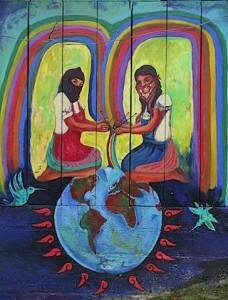 Many of these have emerged from different social movements, ecological movements and indigenous communities. During the six days we will spend together in Portugal we will host an interactive process through a structured un-conference format where there will be a lot of time for sharing and co-creating with self-organizing sessions and open-spaces. Our intention is to co-create a gathering that can propel this movement forward, where stories are shared, creative sparks fly, and friendships and alliances are woven. We hope to be able to explore common emerging themes such as sustainability and social justice; unlearning and decolonizing; indigenous ways of knowing; healing; gift culture; re-engaging community, nature and the built environment; local media; literacies; the question of certification; mentoring; rites of passage; right livelihood and social/eco entrepreneurship, and many others. We will keep you posted on how the event goes on our Facebook and Twitter page. We will also let you know how you can participate in this emerging network. We are thrilled to be releasing the first of our series of films this month – ‘Re-Learning the Land: A Story of Red Crow College’! It has been quite a journey from the time we started in our first visit to Red Crow College in Alberta in September 2012, then a second visit in 2014 where we deepened our relationship to this place and the people we met all of whom we have learned so much. We continue to be affected and inspired by all these experiences and are so grateful to all those we met in Alberta, who collaborated in the making of this film. Between these visits we also launched our Indiegogo campaign (whilst well underway in our journey) and are really grateful to all those who contributed to make this project possible. 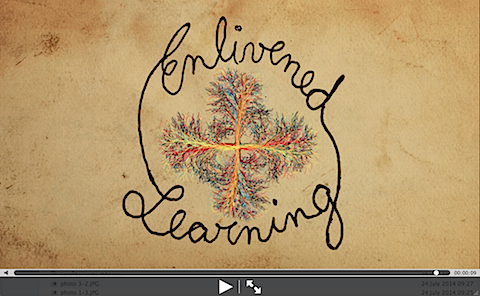 ‘Re-learning the Land’ is the first of a series of films we are editing based on this journey. We are also deeply grateful to all those in the ‘Artisans of Meaning’ team – our co-creators of these films who have been with us on this journey. We hope you enjoy this film – it was made with love and a deep respect for a way of knowing and learning premised on the building of relationships – to the land and its beings, to our communities and to the deeper parts of ourselves. 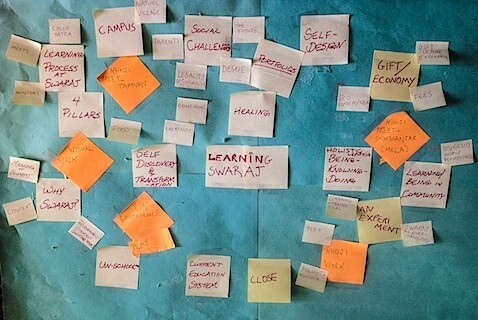 Our hope when we set out on this journey was to tell stories and experiences of these wonderful places and people who have been creatively re-imagining learning and education. Our intention was to offer a platform for these films that we felt could offer inspiration and be a trigger for critical and creative reflection, conversations and action amongst people whose dreams and questions resonated with those of the people found in these films. RE-LEARNING THE LAND is the story of a Blackfoot community in southern Alberta, Canada, and how they have re-taken control of their education system within Red Crow Community College. The film traces the decolonization of their learning and the development of an innovative program, Kainai Studies, within Red Crow College, the same site as a former Residential School. The Kainai Studies program is reclaiming and teaching to a new generation the Blackfoot knowledge system that sustained their community on their land for thousands of years. 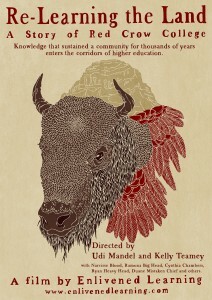 The film, made by directors Udi Mandel and Kelly Teamey and in collaboration with members from the Blackfoot community, raises a host of important questions related to the purpose of education and what it takes to create a deep ecological consciousness and connection with our local environment. By witnessing how students and faculty within Red Crow College are re-building relationships with the land around them, we see a greater sense of purpose, confidence and identity from amongst those participating and learning within the Kainai Studies program. ‘Re-Learning the Land’ explores how education can be used both to wipe out particular ways of knowing and lead to suffering, as in the case of residential schools, or else to promote healing and a transformation of individual and community through a reconnection to history and place. Based on a very different cosmology, set of values and ways of teaching, ‘Re-Learning the Land’ is a subtle exploration of how an indigenous way of learning can create transformational relationships with the land, its beings, the community and one’s own self. After a very long pause in blog writing we are hoping to take the keyboard once again in the coming weeks and continue writing our journey. Amongst the various things which have kept us from writing has been really immersing ourselves in the editing of our series of films of the journey and becoming first-time parents for the past 13 months! After many drafts, numerous conversations, tweaks and re-tweaks, we are really happy to say that we have finished the first film of the Enlivened Learning journey – Re-learning the Land: A Story of Red Crow College. We will be releasing the film online in June and are really excited to be presenting a pre-release screening and debate at the Modern Times Bookshop in San Francisco on May 4th. Want to come? So… we decided to write from the present and share the journey of what it has been like to transform the materials from our year of visiting all of these amazing innovative places of higher education around the world into a series of films. We plan to continue writing about places further on in our trip that we still have not blogged about – to write about them as we are finishing drafts of films. This ‘making of’ has been quite a ride in itself because of the breadth and amount of material: we recorded over 140 hours of film, with over 80 interviews, visited 21 places in 10 countries. But… it has also been an adventure because rather than editing this material just from our perspective we wanted to involve friends and kindred folk in the making of the films. We also really wanted creative input from people we visited and met along the way, to bounce off our experiences and interpretation of the places visited against the views and experience of those who founded them and of the young people who had gone through them. We also want in this project to learn and experiment with a different way of creating knowledge and a story — together — that is collective, rather than so individually-focused. We felt that co-creating would mirror the learning that is occurring in each of the places to be represented in each film. We want to embody in the making of films some of the principles we learnt along our journey: mainly the power of openness, serendipity, co-creation and gift culture. We want to tap into the synergy of having diverse minds and hearts and eyes crafting together stories which are about learning and living and sharing in a different way. We are now in rural southern Oregon, a dry region of high desert. It is the height of summer and a thunderstorm has just rolled by and breathed some cool air into the valley giving us some rest from the wildfire-induced smoky air. I look out of the window onto the garden where we have been growing some vegetables and herbs since we arrived. The garden keeps us connected to rhythms of nature’s growth and the life of plants are a nice reminder of the living things that are all around us — providing much –needed breaks from the screen and computer that are the tools of an editor. Our intention is to make these films within a community of friends. Nothing substitutes the power of face-to-face interaction when we make things together. We were lucky to have experienced this on numerous occasions during our journey – the intensity of being in the same place and intimately sharing ideas, feelings and intuitions, drawing and sketching ideas, building models and mindmaps, moving pieces of paper around, pointing at a screen or photo, sticking notes on a wall, going for walks, cooking and eating together. But we ended up in a small rural town where Kelly was born, slowing down with the birth of our first baby —- the friends we met or re-encountered along the way are scattered around the globe. So we devised another way of maintaining a creative community that would nourish each other and participate in the making of these films. Experimenting with various online tools and platforms we are navigating places of co-creation. Our friends from India, Argentina, Brazil, Chile, Colombia, Mexico, USA, Canada, UK and France have been participating in this co-creative process. A syncretic mix of emails, online meeting groups, Skype group chats, a vimeo page to host our interviews and work in progress and a website where we share transcripts, ideas and conversations – provides the architecture where we meet and work. This has meant adapting a working environment and editing workflow so as to make it available online and distributed across people, places and timezones. It has also meant opening up the making process out of the ‘editing room’ so that others are watching, transcribing and annotating the interviews, and discussing early drafts of the films together. Beyond this, we have also become a creative community, making maps and images, animations and posters all which are further enlivening the stories we are telling. Thinking about this process of editing and finding the threads significance across the range of materials – interviews, action sequences, shots of places, people, events, photographs and sound recordings – we came up with the name of the group as ‘Artisans of Meaning’. This name emerged because we are crafting and weaving the meaning of each film through the strands which stand out for each of us, which move us and which we all find significant. The films then emerge as a tapestry of this process. We also see and have experienced the group as a way to learn together through the materials. Again we took on board a lesson from our journey of the importance of creating situations whereby we can learn together whilst connecting this learning to real issues happening in our lives. We saw the wonderful opportunity of learning together around the making of a film, as well as learning of the topics that the film covers. For Kelly and I this community has been invaluable. It has been a tremendous source of nourishment — rather than a typical editing process that is often quite lonely and isolating as editors, writers, filmmakers and many others with a ‘making craft’ may recognize. But much more than that, co-creation has often opened up many wonderful new avenues and perspectives on these stories we are telling, helping us to shape them in a way that is more clearly expressed and relevant. Now we have been some 10 months into this process. We are about to finish a draft of our fourth short(ish) film. We still have some way to go, we plan 6 films of 6 of the places visited before tackling the feature film which will be a story of the whole journey. And this is before the second stage of editing next year which will be on films of the places we visited that are focused on arts and cultural expression. I think back to something I wrote some months ago under the title ‘Meeting Hospitality and Friendship on the Road’ (http://enlivenedlearning.com/2013/01/06/). This post was an expression of gratitude for the generosity, hospitality and friendship we met along the journey. I also described here an experiment of the open sharing of ideas amongst academic friends whilst living in the UK, in the ‘amateur academic adventurers club’. Amateur because we were engaged in something we loved and enjoyed, as the Latin roots of the word imply, an adventure’s club because it sounded fun and suggested that the pursuit of ideas and social inquiry can have the quality of an active running forth, an investigation and act of discovery. As I also wrote, the group was an attempt to create a place outside the atmosphere of institutional and often interpersonal toxicity that haunts the walls of the academy, to cultivate the opposite, an environment of hospitality, friendship and the nurturance of ideas. 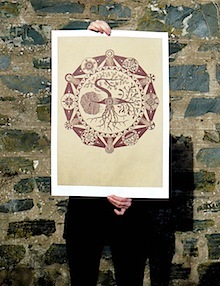 Something that would enrich our own enquiries and enliven our sense of possibility of making, relating and thinking. The Artisans of Meaning has also been an extension of this beyond the world of film-making. It has been an exploration of a way of making a film beyond an industrial model of filmmaking to one whereby the making is also an opportunity for learning together and cultivating relationships as a priority, rather than a by-product. As a friend once put it ‘making is connecting’.